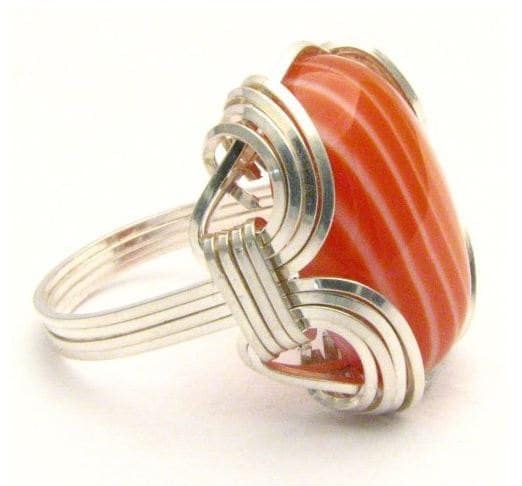 Wire Wrapped Red, Orange, White Sardonyx Onyx Gemstone Sterling Silver Ring. Custom Sized to fit you. 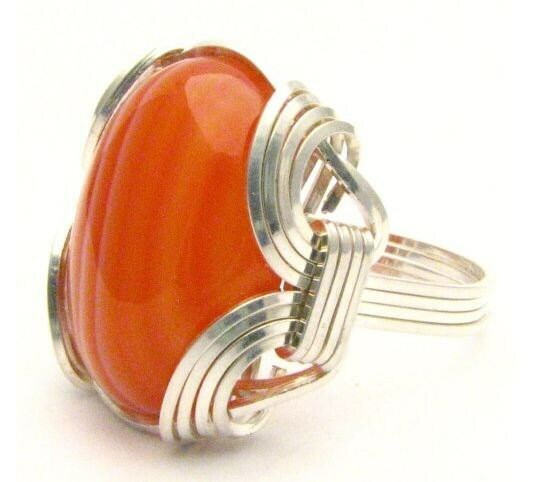 Wire Wrapped Red, Orange, White Sardonyx Onyx Gemstone Sterling Silver Ring. 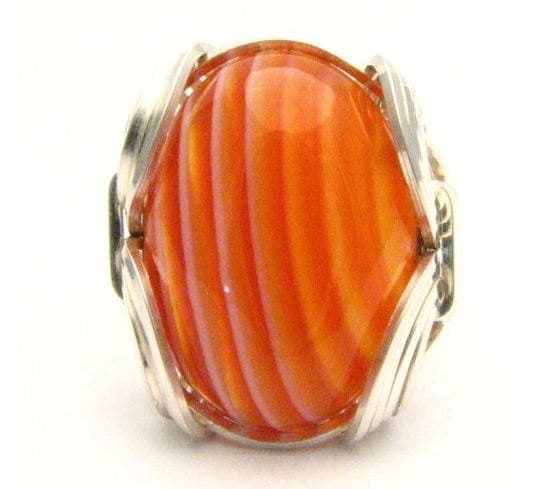 18x13mm (3/4x1/2 inch)10+ct. These rings can be made in Sterling Silver,Gold or Gold Filled just let us know. I make and set every one of them with real gems, if you see a setting you like and want a different gem in it they are not finished so I can put another gem in them. Let me know I can probably do it for the same price or real close. If you have old gold jewelry I can use that and make this in gold for you. Contact me for pricing. We can also offer matching earrings, pendants and bracelets for any of my wire wrapped rings, just contact us for information on that.